Welcome to my site, I hope the information found within is of help to people suffering from Irritable Bowel Syndrome. 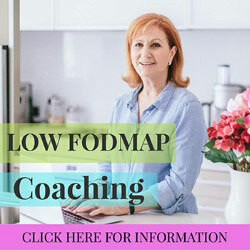 I myself am a long term sufferer (coming up to 20 years) and have learnt many things over the years on how to deal with IBS but the biggest contributor was the FODMAP diet. I was introduced to the diet by my dietitian and have found a vast improvement to my symptoms as a result. Below gives a quick overview of the diet and please browse the rest of the site for detailed information. I try to keep the FODMAP food list as accurate as possible. With the continued research and food testing the list receives additions and alterations as time goes on. Please be sure to consult your doctor / gastroenterologist / dietitian on anything you aren’t sure about. 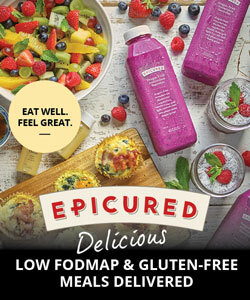 For more information on please read What are FODMAPs? and the other pages about the FODMAP diet. 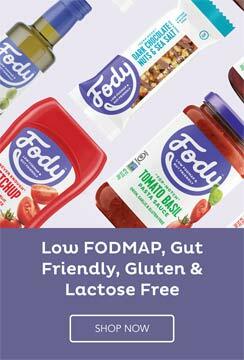 If you want to see the list of acceptable foods head on over to the FODMAP friendly food list and if you want to track your symptoms head over to the IBS symptoms and food diary page. If you are looking for information on other IBS friendly diets there is a gluten free food list and a lactose free food list. There are further pages that aim to provide information on other techniques to help with the suffering of IBS, please use the sidebar on the right to have a look.